The Comline® Filter 3161 is a very compact and quiet internal filter which offers the Comline® design with two chambers, a surface suction device and floor-level suction for Nano fresh water and marine aquariums from 30 liters (7 USgal.) to 100 liters (26 USgal.). It is also a single-purpose surface filter, especially for the surface film removal in large aquariums up to 1,000 liters (264 USgal.). In such aquariums which are often not equipped with a drain, the Comline® Filter 3161 is able to ensure the highly efficient surface cleaning with only a small footprint. 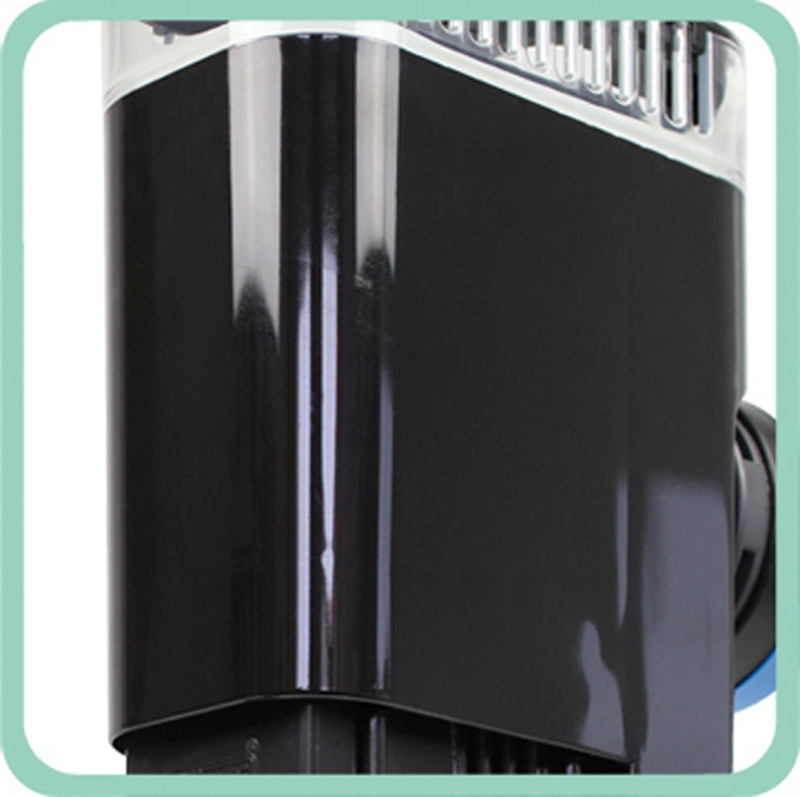 It contains an adjustable Comline® energy-saving pump 900, which can be adjusted to a low power output for small aquariums, and an increased power output for large aquariums. 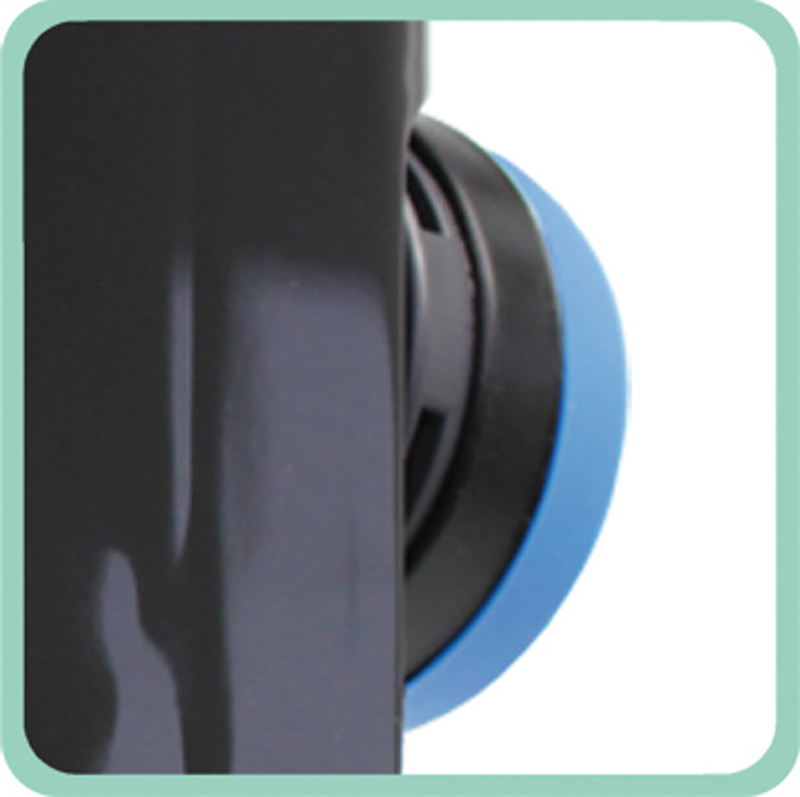 A Silence Magnet Holder for a glass thickness of up to 10 mm (3/8 in.) 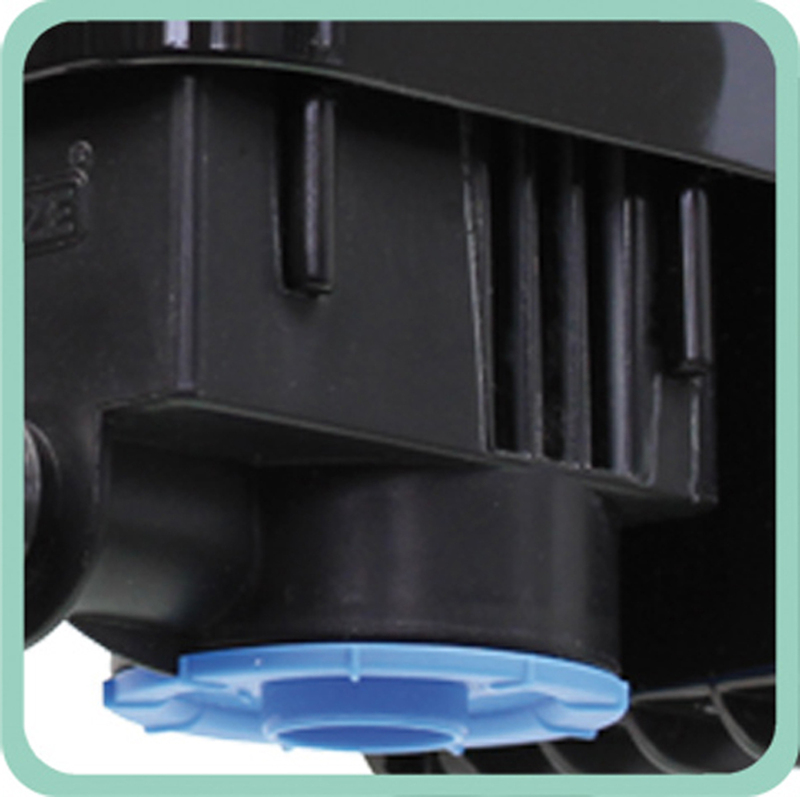 is integrated into the support of the Comline® Filter 3161, the filter is spaced from the glass with silicone buffers and doesn‘t emit any vibrations to the aquarium. 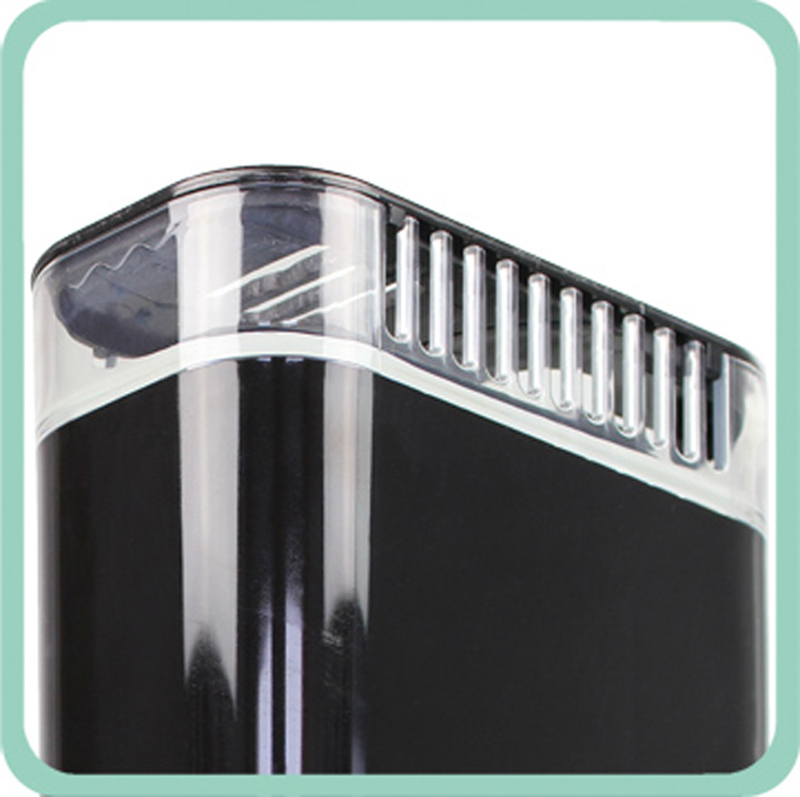 The glass thickness can be expanded up to 15 mm (2/3“) for larger aquariums (accessory). The pre-chamber of the filter which handles approx. 15% of the total water throughput has enough space for a nano heater or organic material in Nano aquariums, but also for pH or temperature probes in larger aquariums. The main chamber is designed to be used with filter wool or any type of filter media, contains a filter sponge and is easily removable. The Comline® Filter 3161 is ready for installation and includes the filter media. 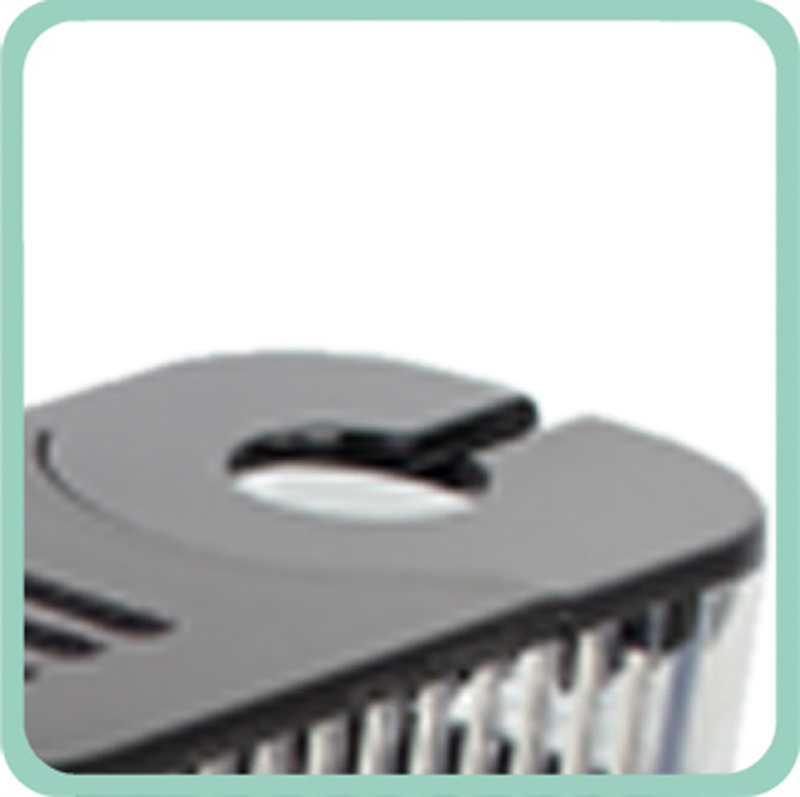 The rotating surface suction device, allows the filter to be placed in every corner of the aquarium. Two parts can be attached. 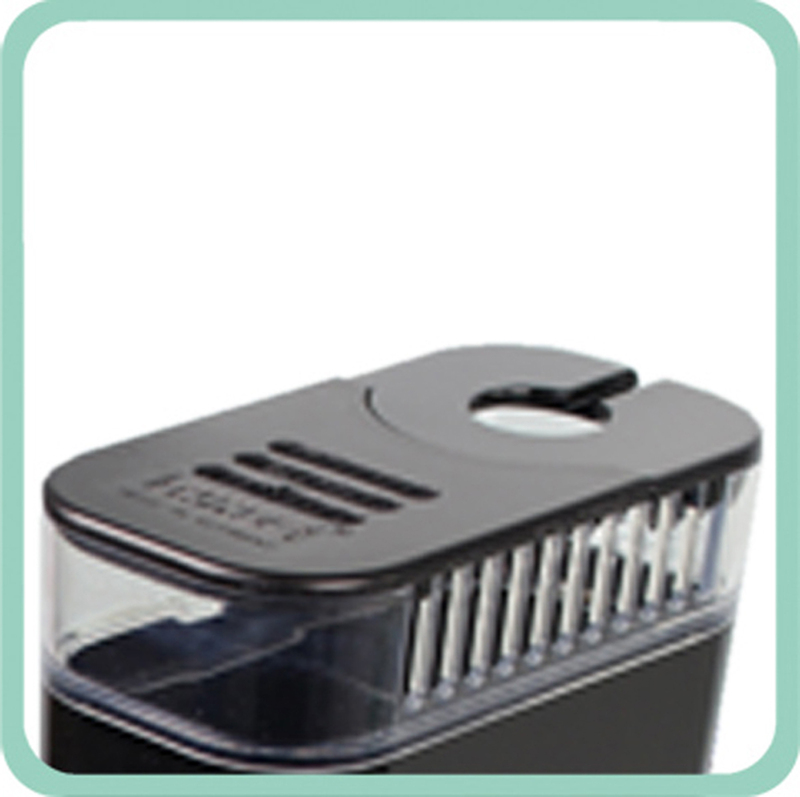 Attachment with a patented Magnet Holder for a glass thickness of up to 10 mm (3/8 in.). Pre-chamber for nano heater, probes or organic material. Floor-level suction (15% of the pump performance) for a collection of the particles in the water column. Adjustable Comline® energy-saving pump with a variable performance between 250 and 850 l/h (66 to 225 US gal./h). Power consumption 2.5 - 4.5 W.
Main Chamber (85% pump performance) with a filter volume of 250 cc, can be refilled with any kind of loose micro and macro-cotton, loose activated carbon or other filter media. Filter cover above the main chamber for an easy filter change. The rear cover can remain closed for probes or heaters. Sometimes it is maintained that reef biotopes cannot be successful in aquariums with less than 200 liters. Nonetheless, there are more and more aquarists who operate wonderful aquariums with contents of 60, 100 or 150 liters. There is also an increasing demand for small reef aquariums. Obviously, the system must not cause any stress for the animals, and all species of invertebrates or fish should be able to live as in their natural habitat. The range of technical aquarium systems is rather limited for this class of aquariums. Most internal filters frequently develop weaknesses which have a detrimental effect on such a biotope or they are very often completely unsuitable due to the space required. TUNZE Nano Reefpack 200 constitutes a new water treatment concept for small reef aquariums from 40 to 200 liters (10 to 52 gal.). It consists of a DOC Skimmer 9002 with a 150-liter (39 gal.) air output, a mechanical nano filter with a pump (800 l/h or 211 gal./h) and a magnet holder. The Nano Reefpack has been designed for beginners as well as for experienced aquarists. Thus, it is possible to operate a small marine or reef biotope aquarium in any standard glass tank without any complications. The water is treated on the basis of dirt removal and contains no biological stages. Like all TUNZE components, the Nano Reefpack is a modular solution, which can be supplemented with Osmolator 3155 and a Calcium Dispenser (sold separately), et cetera. Holding Device: the Nano Reefpack is supplied with Magnet Holder 6080.50 as a standard feature to permit mounting at any point in the aquarium (up to a glass thickness of 12mm (0.47in). Power Consumption: Only 20W for all components. Delivery Condition: Completely ready for mounting with holding device, storage tank and filter wadding. The compact internal filter system Comline Riverpack 605 has been developed especially for fresh-water aquariums from 200 to 600 litres (52 to 158 USgal.). It is ready-to-mount with magnet holder and storage container finding enough space in almost every aquarium. It consists of a mechanical quick-run filter fitted with Turbelle e-jet 1605, Osmolator 3155, Bio-Hydro-Reactor 3179 and a fill of Granovit. Comline Riverpack 605 ensures direct removal of pollution from the aquarium water through an efficient quick-run filter, complemented with biological oxidation and reduction to permit a breakdown of nitrate, enabling stable and perfect water values. FILTRATION: Comline Filter 3166 combines bottom and surface suction with modern cartridge technology. The filter cartridge can be washed, but the system also comes with five spare cartridges. BIO HYDRO REACTOR: Part of the purified water is diverted from the quick-run filter and is irrigated over the two-zone Bio-Hydro-Reactor 3179 with a fill of Granovit. Thus nitrogenous waste, such as ammonia, nitrite and nitrate, are processed without any special effort. Used as a hydroponics reactor, it also relieves the aquarium water, which is especially important when keeping Cichlidae, for example. WATER CIRCULATION: Turbelle e-jet 1605 with 1,600l/h (422.7 USgal./h) integrated in the filter. Storage Tank 5002.25 with a volume of 27 litres (7.1 USgal.). HOLDING DEVICE: Magnet Holder 6200.50 up to a glass thickness of 15mm (1/2"). POWER CONSUMPTION: Only 12W per hour, 230V/50Hz. DELIVERY CONDITION: Completely ready for mounting with holding device, storage tank and filter cartridges. Dimensions: L225 x W135 x H300mm (L8.8 x W5.3 x H11.8 in.). The compact internal filter system Comline Reefpack 505 has been developed especially for mechanical filtration of marine aquariums of 200 to 500 litres (50 to 135 USgal.) at a low consumption of energy. It is ready-to-mount with magnet holder and storage container finding enough space in almost every aquarium. The system consists of a DOC Skimmer 9011 with an air output of 650l/h (170 USgal./h), a mechanical quick-run filter fitted with Turbelle e-jet 1605 and Osmolator 3155. Comline Reefpack 505 ensures direct removal of dissolved organic compounds and suspended detritus from the aquarium without a bio filter, and thus is never in competition with the bio-dynamics in the aquarium biotope. SKIMMER: Comline DOC Skimmer 9011 together with Comline Filter 3166.50 in one unit. FILTER: Comline Filter 3166 combines bottom and surface suction with modern cartridge technology. WATER CIRCULATION: Turbelle e-jet 1605 with 1,600l/h (420 USgal./h) integrated in the filter. WATER LEVEL CONTROL: Osmolator 3155 integrated in the filter plus storage tank 5002.25 with a volume of 27 litres (7.1 USgal.). POWER CONSUMPTION: Only 34W per hour, 230V/50Hz. Dimensions of the skimmer cup: L225 x W113 x H418mm (L8.8 x W4.4 x H16.4 in.). Compact and comfortable, Comline Double Filter 3167,50 is mechanical quick-run filters supplied complete with quick-change filter cartridge, Turbelle e-jet and magnet holder for attachment. 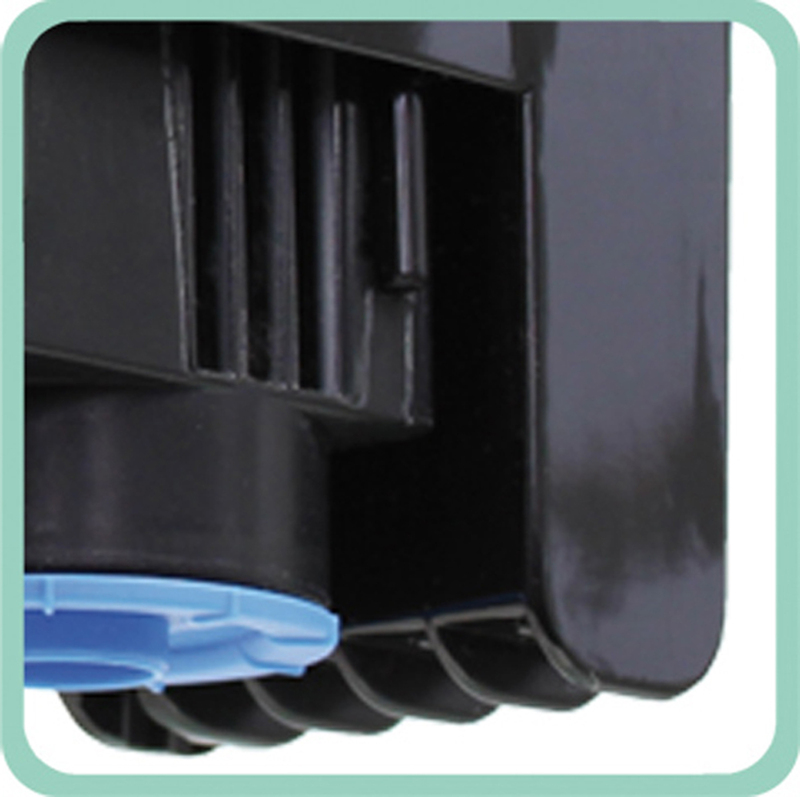 The Comline filter can remove bottom as well as surface water. Instead of the installed Filter Cartridges 800.01, activated carbon with acrylic wadding can be used in combination with Cartridge 800.03, Refillable Cartridge 870/871 for carbon, Quickphos, Silphos or loose wadding as well as Cartridge Core 800.14 with Cartridge Mat 800.22. All Comline filters can be retrofitted with Osmolator 3155 for perfect surface suction as well as the required compensation of evaporation. Compact and comfortable, Comline Filter 3166,50 is mechanical quick-run filters supplied complete with quick-change filter cartridge, Turbelle e-jet and magnet holder for attachment. Comline Bio-Hydro-Reactor 3179 is a two-stage reactor (oxidation / reduction) provided with a magnet holder for attachment to glass panes up to a thickness of 12mm (3/8"). The unit contains a fill of highly porous GRANOVIT granulate (highest biological degradation activity 300m), and is constantly supplied with a small volume of the filtered water from Comline Quick-Run Filter 3166.50/3167.50. For this reason a TUNZE bio-hydro-reactor does not need any maintenance. The aquarium water enriched with (air) oxygen causes an oxidation zone in the GRANOVIT granulate. Ammonia and nitrite are degraded here. A reduction zone is produced in the medium area of the granulate, in which the nitrate is degraded. On account of the fine pores, very high biological degradation activities are possible. In marine biotopes Comline Bio-Hydro-Reactor 3179 has a similar biological effect as highly porous live rock (approx. 10 kg (22 lbs.)). Dimensions: L125 x W113 x H300mm (L4.9 x W4.4 x H11.8 in.). Immersion depth: 150 to 290mm (5.9 to 11.4 in.). Cleaning performance: up to 500 L (135 USgal.) of fresh or salt water. Magnet holder up to a glass thickness of 12mm (3/8"). The Comline Reefpack 250 features an optimum combination of technical filter components for seawater biotopes. It is designed to to maintain near to natural conditions in sensitive seawater aquariums from 60 to 250 litres (15 to 65 USgal.). Mechanical and chemical filtration with Comline filter 3162, refillable with any type of filter medium. Surface intake for removal of bacteria film, ground intake for heavy particles and sediments. Loop current in aquarium by energy saving pump with variable performance from 250 to 850l/h (70 to 250 USgal./h). Skimming with Comline DOC Skimmer 9004, surface intake and high performance. Storage tank 5002.10 with a volume of 13 litres (3.4 USgal. ), serves as reservoir for refill water. - - - - - - - Energy consumption of only 8.5W for all components, 230V/50Hz (115V/60Hz). - - - - - - - - - - - - - - - - - - - - Supplied ready for installation, including patented Magnet Holder up to a pane thickness of 12mm (3/8"), storage tank and filter cotton. Dimensions including skimmer cup: L180 x W110 x H305mm (L7.1 x W4.3 x H12 in.). For fresh and saltwater from 60 to 400 litres (15 to 105 USgal. ), depending on tank load. Fixed by means of Magnet Holder up to a pane thickness of 12mm (3/8").